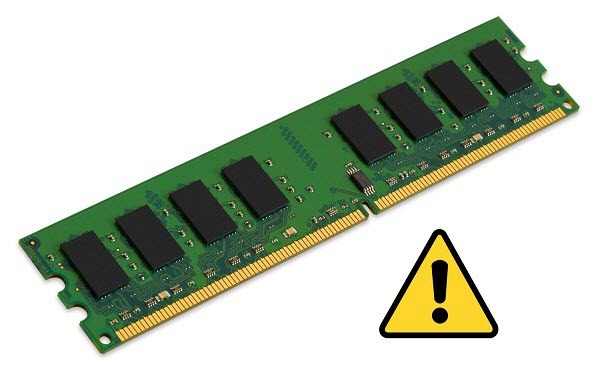 RAM or Memory is one of the most important components of your Computer. Without it you computer won’t start and if the RAM has gone corrupt then you may various problems, which I will discuss next in this article. The problems faced by having a faulty RAM are very annoying and it can cause loss of work and time. So it is very necessary to replace the faulty RAM if you want no more trouble from your computer. Here are the top problems that you can face if you have a faulty RAM module installed in your system. You computer will hang or freeze randomly and you have to restart your computer to fix the freezing. This can be very annoying and it is one of the top symptoms of having a bad RAM module in your computer. Your computer can restart randomly in the middle of your work. This can be very frustrating and it is also one of the major symptoms of having bad memory in your computer. It may be possible that your PC or Laptop may fails to start when your press the power ON button of your computer. Here to start your computer again you have to remove and replace the faulty RAM stick. It may happen that your programs, applications or games can crash in the middle. The crashing may also be followed by a freeze or restart. You can face Blue Screen of Death (BSOD) with memory dump error. BSOD may occur in both the conditions i.e. when your computer is sitting idle or when you are running any application. If your computer has only one RAM stick or module then you can easily identify it. But when you have multiple RAM modules installed then you can check the faulty RAM by plugging in the RAM module one by one and testing each one of them individually. The faulty RAM module will likely to cause one or more problems mentioned above. So identify those faulty RAM modules and get them replaced. 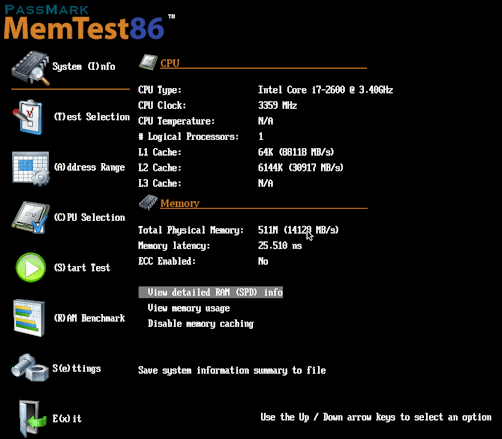 If you are an advanced user then you can test your RAM by using a very well known memory diagnostic tool which is Memtest86 from PassMark. It boots from a bootable CD or USB flash drive for its operation. There is no way to fix or repair the faulty RAM and even if it is then also I would not advise it either. It should only be replaced by a newer one. If the RAM is under warranty then you will get the replacement for free but if it is not then you have to buy a new one for your computer. If you want reliability and performance from your RAM / Memory then I would advise you buy good quality branded RAM and avoid local and inferior quality RAM modules that are available in loose packing. Always Buy Branded RAM from the Companies mentioned below. You should note that always buy RAM in their original sealed OEM packing and never but it loose. Hello again sir yesterday I put a new corsair vengeance 1x8gb 1600 mhz ram into my system. It get started normally but after few minutes like 5 to 7 minutes a blue screen came there was mentioned ur pc is under some error we will restart it. It got restarted and after that again same blue screen came after few minutes with error memory management. But when I installed my old ram kingston 4gb no problems occur. I tried that vengeance ram with differents slots of my mobo but got the same problem. I checked on net my mobo nd cpu is compatible with corsair vengeance ram. I think something is wrong with RAM. Is kingston also 1600 mhz? So sir problem is with my corsair vengeance ram or with windows??? Here do one thing. Format and install fresh copy of Windows then test the corsair RAM again. If Blue Screen is still coming then it is RAM issue. Also do come back to me after doing this. Ok but do the thing i told you to make any conclusion. Yeah I will do it rite now I dont have windows cd with me please tell me should I install windows with this corsair vengeance ram or with my old kingston 4gb ram? Install the Windows with the RAM that was working fine i.e. kingston and after that put in corsair. Hello bro now I installed a fresh copy of windows 7 ultimate and put that corsair vengeance ram but my pc got started but windows not getting start with it. And after that I put kingston ram my pc windows everything running good. Put in your corsair ram and then reload BIOS default settings and save. Observe after this. I wanted to know how can a hynx ram be good because there are many fake hynix rams I too have a 2gb hynix ham and a 2gb dolgix ram I like the dolgix one it came in a sealed pack but i have no problem with any of the rams only the hynnix ram is short in height but fits same as the other one here is the link just download the image https://postimg.org/image/o3vid9vbl/ it shows kingston bit it is hynix. To be on safe side always buy RAM inn sealed packing. The pic you have shown might of a fake or refurbished RAM. last week one RAM corrupted and I have remove that one. but from the time removing the one RAM my 1TB WD Black is not showing not showing in MY Computer or BIOS which is using only for storage, for OS using 240GB SSD Intel and another 1 TB WD Blue for Storage is showing. RAM has nothing to with Hard disk detection. Check all the connections and see if the hard disk is powering ON or not. open the cabinet. plug in the hard disk and put your hand on the hard disk. If it is getting power then you will feel slight vibrations. I will shortly write an article on it.